If, like us, you long to see a vast network of rewilded land and sea across Scotland, please consider joining our passionate donor community. Imagine a Scotland where wild forests teem with life. Where rivers flow freely supporting an abundance of insects, birds and fish. Where a mosaic of wetlands is shaped by the work of beavers and echoes to the calls of cranes. Wild nature is enchanting and enriches our lives. It can make us feel amazing. And if we let it, wild nature will help regulate our climate, improve our soils, clean our air and water and provide exciting opportunities for rural communities. are already making amazing things happen across Scotland. Working together we can make more of these things happen. but we need to look beyond convention and see rewilding as a huge opportunity." SCOTLAND: The Big Picture is a not-for-profit company limited by guarantee. We have no shareholders and all donated funds are reinvested in our advocacy and communications work. Part of our income is derived from commissions and product sales, but we also rely on the support of individuals and organisations who share our vision. Develop our education programme aimed at rewilding the next generation of decision makers. Create tools to advise landowners how to get their rewilding ideas off the ground. Expand our community engagement work, through a series of inspiring presentations to diverse audiences across Scotland and beyond. Gift our latest book, SCOTLAND: A Rewilding Journey, to influential landowners and policymakers, helping to inspire exciting change. 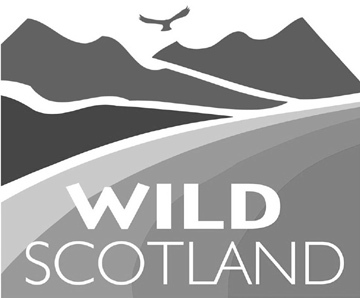 Help bring our ground-breaking rewilding documentary, due out in 2021, to a network of theatres across Scotland. "Every day more and more people understand that we’re not separate from nature but inextricably linked to it." As an alternative to using PayPal, you can make a donation by BACS payment. Please put your full name as the reference so that we know the donation has come from you, and it's also helpful if you tell us by email that you have a made a transfer so we know to look out for it.